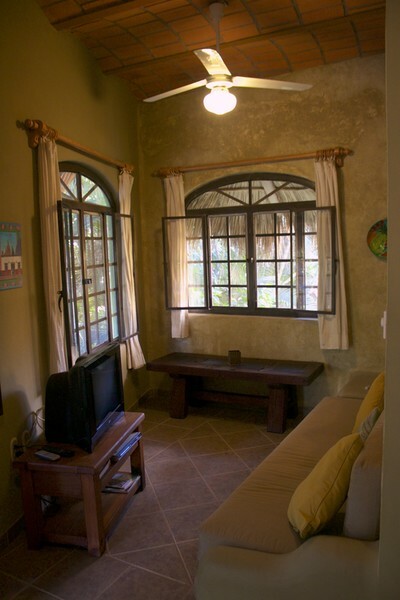 Private, hidden behind the owners house and beside a freshwater pond, the 4 one bedroom Casitas beckon like a cozy hideaway. Fresh, clean, decorated in earthy colors to please and calm the mind. These one bedroom units come equipped with almost everything. -AC in two of the one bedroom casitas, specially convenient during the low Summer season. 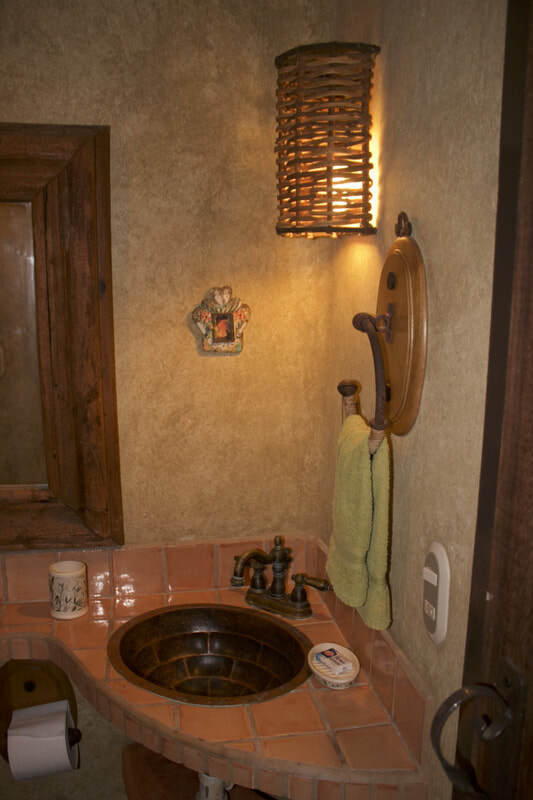 Ask about availability. 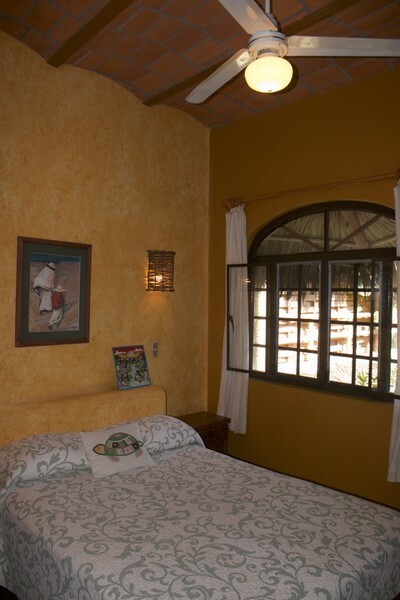 Otherwise all casitas have ceiling fans in all areas that are normally enough to keep you comfortably cool. See the casitas at the beautiful pictures below. 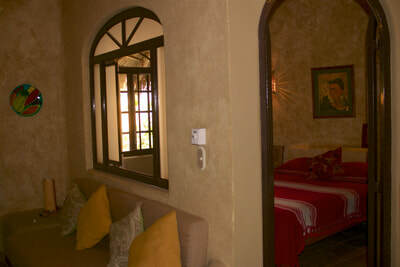 The price range is between USD 70 - 110 depending on season for 2 people, see more under "Costs and Reservations". Or fill out the contact form further down on this page. We also offer a 2.5 bedroom casita for up to 7 people, or our most popular; The Penthouse, which fits up to 3 people. 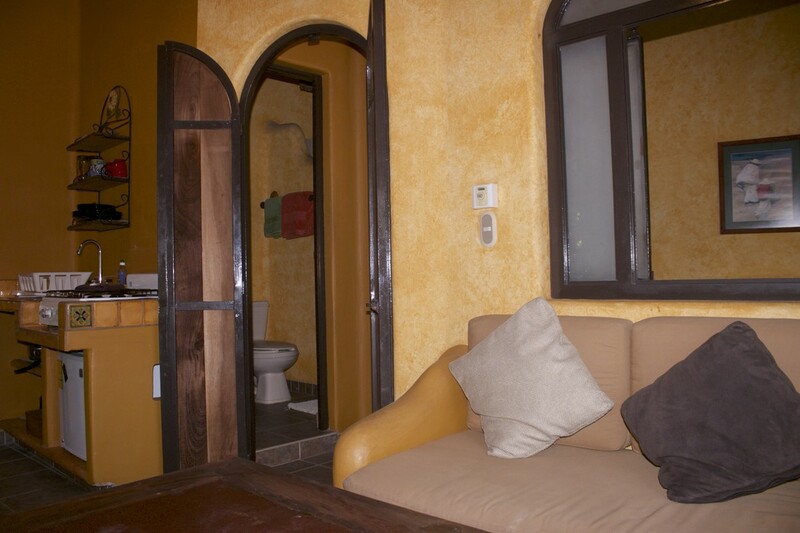 Bungalows de una recámara, ideales para una persona o pareja, con su salita con sofá y mesa baja, una recámara con cama matrimonial, baño con regadera grande, área de cocina con lo básico para cocinar, TV/DVD, Tele Cable, internet inalámbrico y acceso a películas en DVD y agua purificada para beber. 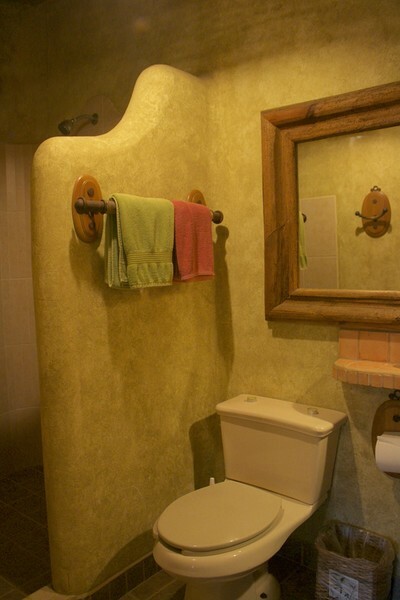 Se proveen toallas de baño y de playa. 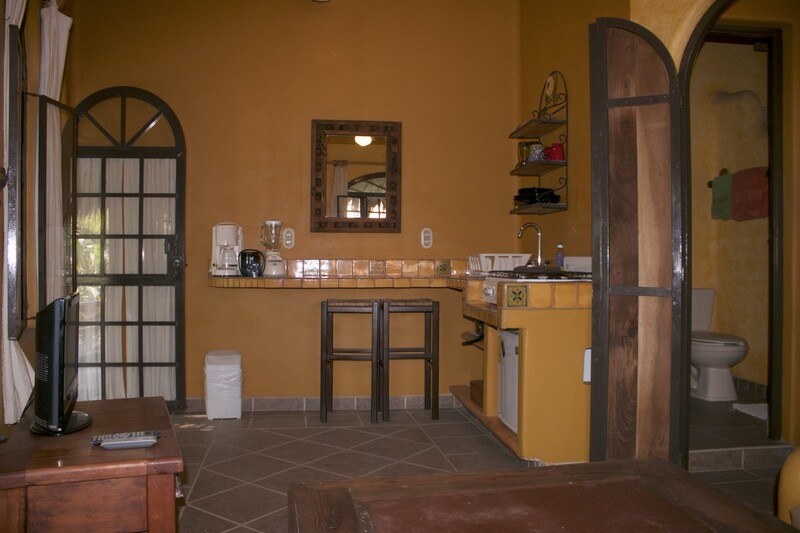 Ahora dos de las casitas de una recámara tienen Aire Acondicionado (AC) Pregunte por ellas si eso es importante para usted. 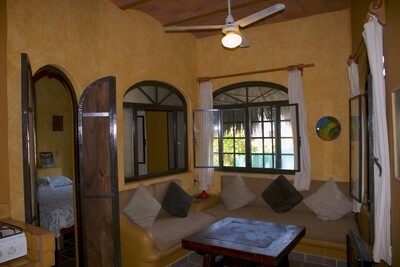 "The rooms are awesome! You can really see the attention to detail that Marcelo made while designing these units. Nice tile floors, huge shower, and a comfortable bed will make you feel at home. 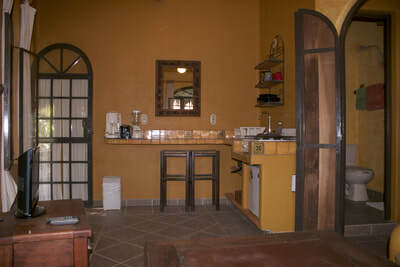 The kitchenette was all we needed to make some basic meals so we weren’t going out to eat all the time. I would HIGHLY suggest staying at Casitas Tortugas, as I plan to come back as soon as I can! Thanks Marcelo and family!" 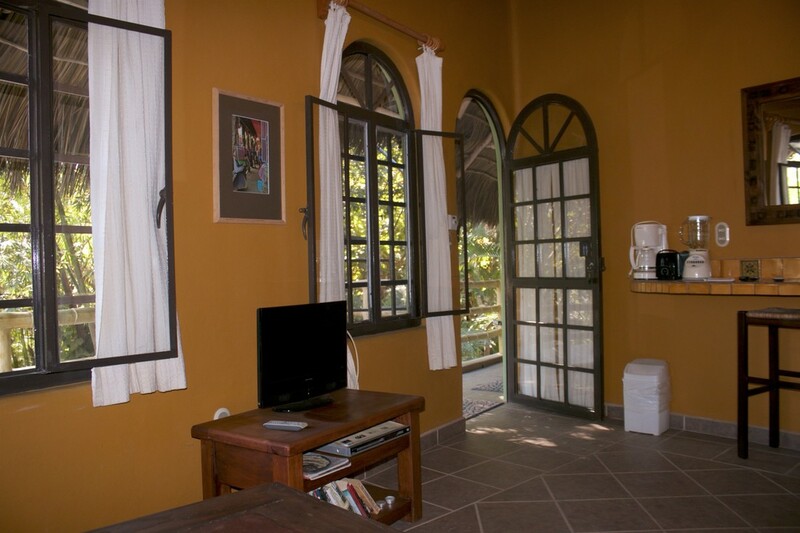 "We have been going to Sayulita for three years. 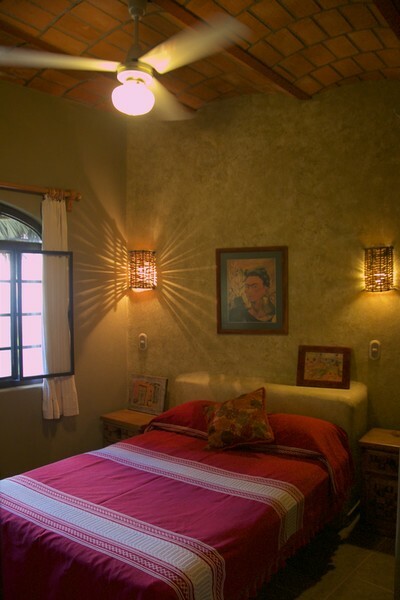 We found Casitas Tortugas on our first trip and fell in love with it. We liked it so much that we returned for our honeymoon! 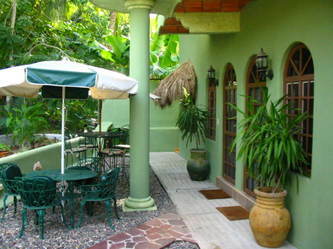 The locations is ideal, being only a couple of blocks from the ocean and the main plaza. However, it is far enough away that noise from the plaza doesn't drift in. 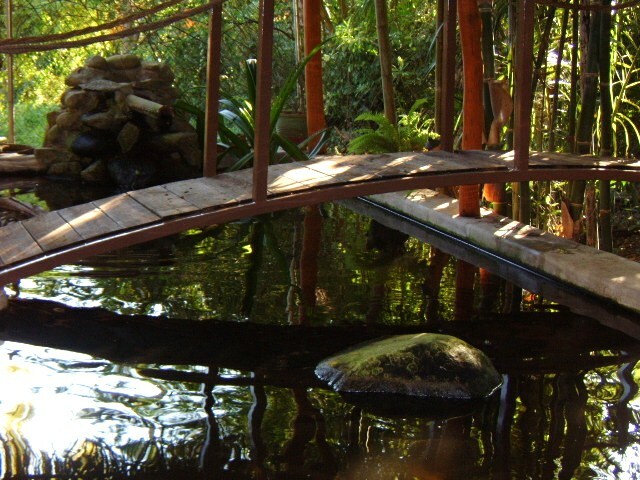 The turtle and the koi pond in the back yard, along with the iguanas in the trees, create a calm, relaxing atmosphere and wonderful place to have your morning coffee. 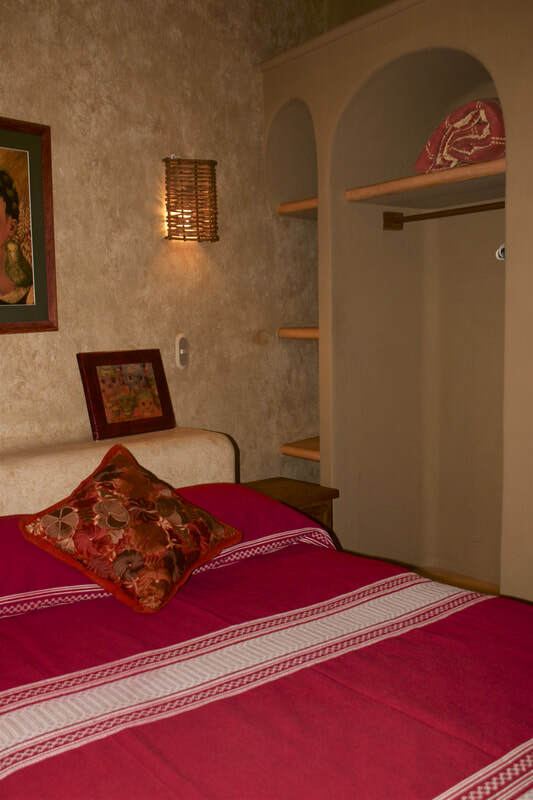 The casitas themselves are beautifully designed and furnished. Each has a separate sitting room, bedroom, bathroom and kitchenette. 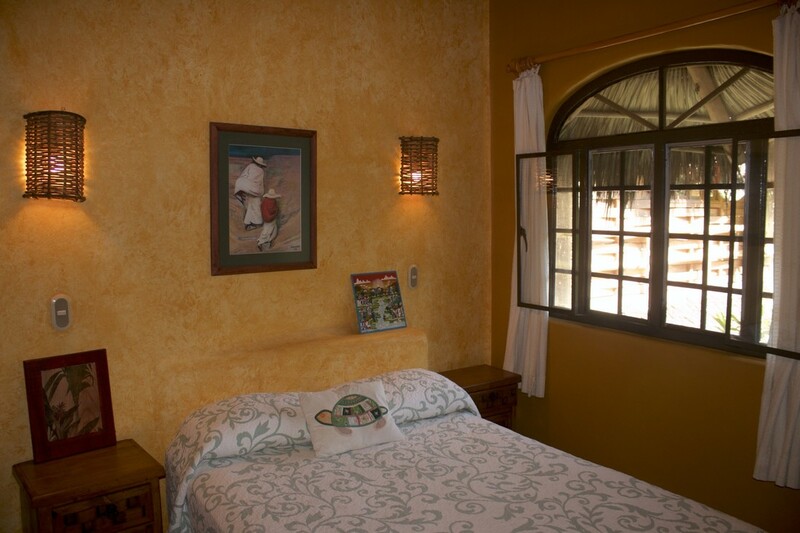 Tasteful decor and open, bright rooms make the casitas feel incredibly comfortable and roomy. 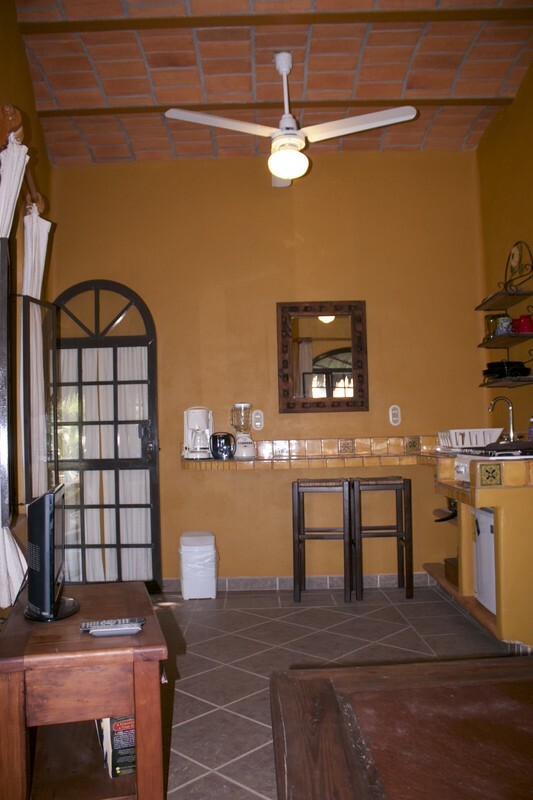 Everything you need to prepare basic meals is provided in the kitchenette. A TV set and access to the owners' personal DVD collection is also included. The owners, Marcelo and Brynne, make you feel as though you are staying in an extension of their home, and their kind presence makes you always feel comfortable, secure and welcome. " "My husband and I recently stayed at Casitas Tortugas for 10 nights. We absolutely loved it and couldn't have been happier. The property and the rooms/apartments are meticulously maintained by the owner, Marcelo. He takes a lot of pride in his property and it really shows. 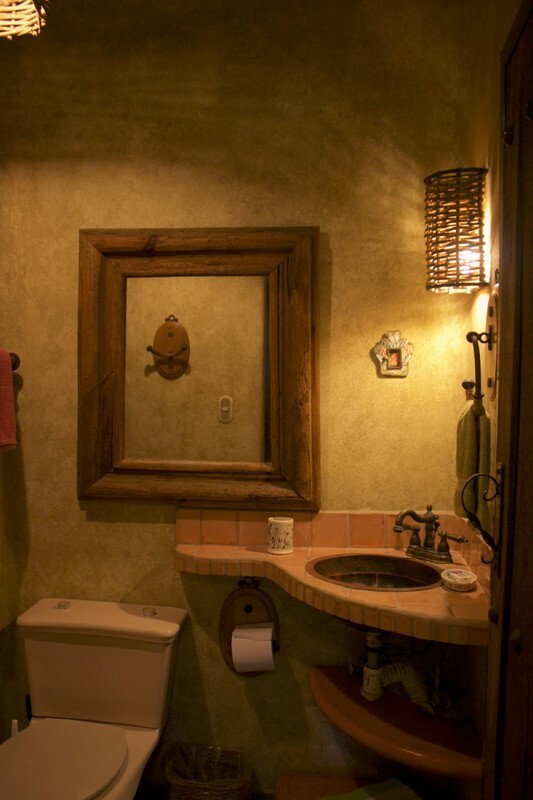 He and his wife are also usually around to give recommendations, and it is clear that they really care about all of their guests. 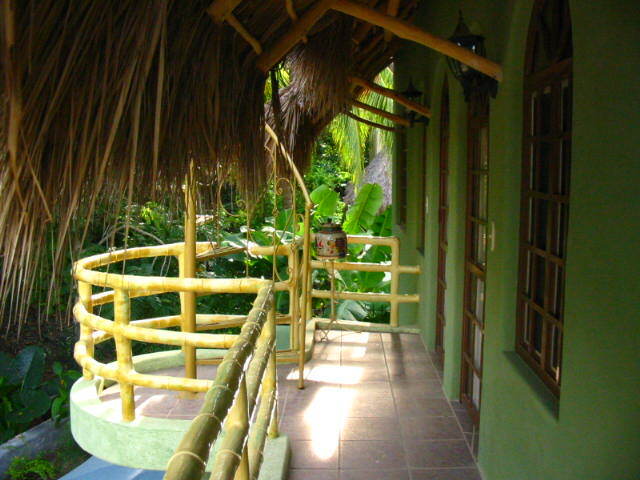 The location is perfect, as it is only about a block from the center of town, and then another block or so to the beach. 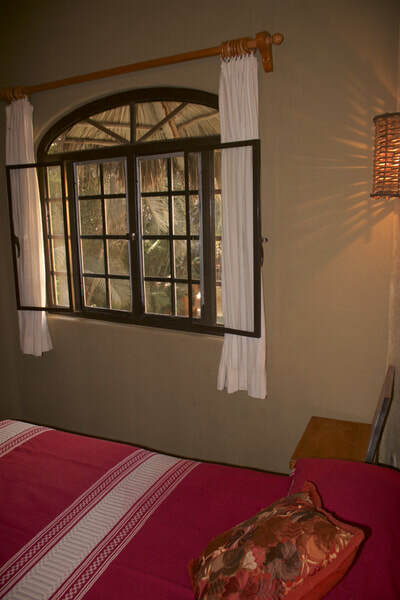 It is far enough from the town that you do not get any of the noise from the crowds, but close enough that you can easily step out for breakfast and then go back home to change for the beach, or stop back home throughout the day. 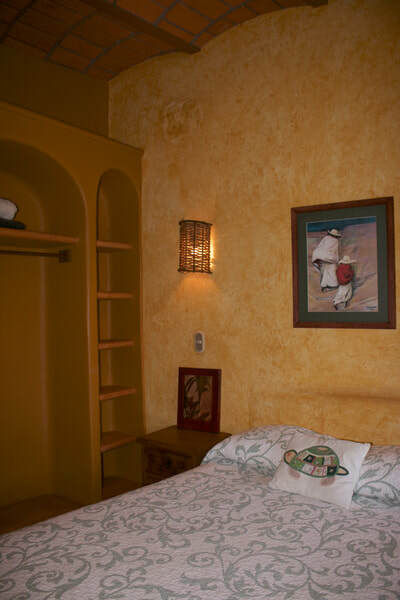 We loved the little one bedroom casita that we rented. 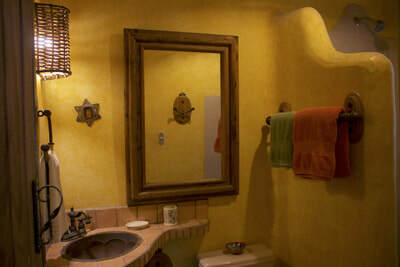 In addition to the bedroom and bathroom it included a small living room and kitchen. 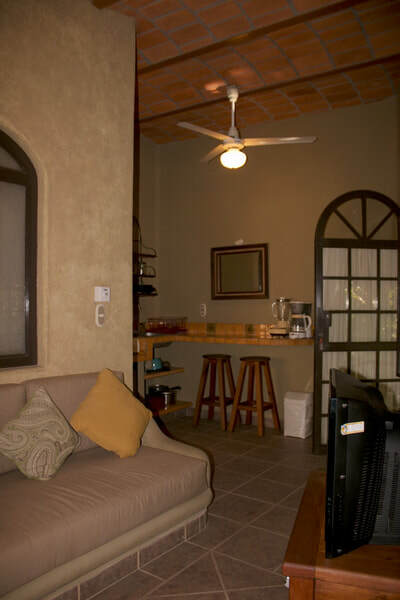 There are also ceiling fans strategically placed throughout so that it stays remarkably cool inside, even when it is hot outside. That may also be due to the concrete construction and palapa roof. 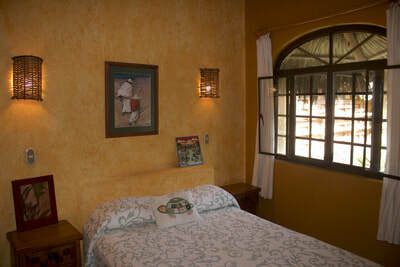 ​We felt extremely safe and comfortable at Casitas Tortugas, and the prices are very reasonable. We would definitely stay there again and absolutely recommend it to others!"